As a child, I was routinely terrorized by the singing felines in Cats. Not from the musical, mind you, but in the commercials for the musical, which aired nonstop on PBS and filled my dreams with images of lithe, scary humans with long claws and tenor ranges. Now their creator, and therefore my tormentor, is getting a lifetime achievement award. FINE. 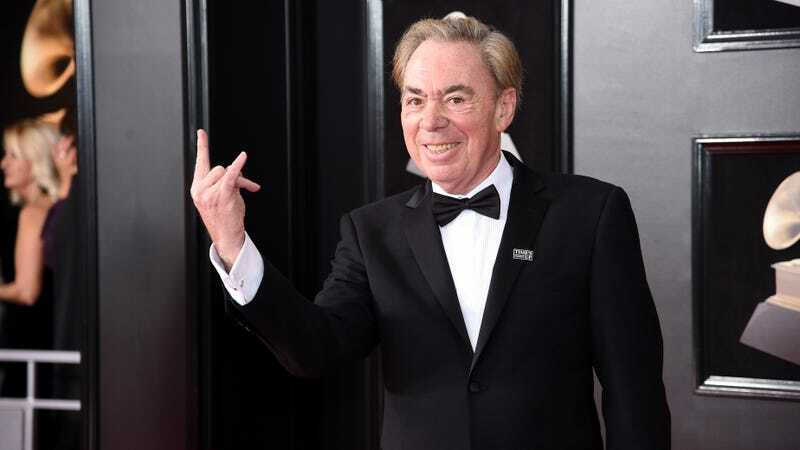 Variety reports that Andrew Lloyd Webber will be honored with a coveted Tony Award for Lifetime Achievement in Theater at this year’s award ceremony on June 10. Webber, whose credits include Evita, Jesus Christ Superstar, Phantom of the Opera, and Joseph and the Amazing Technicolor Dreamcoat, in addition to the dreaded Cats, joins fellow theater icons like Irving Berlin, Richard Rodgers, Stephen Sondheim, and Carol Channing in winning the award. Also up for the achievement award is Chita Rivera, who has never once gotten “Jellicle Songs for Jellicle Cats” stuck in my head. She did, however, originate the role of Anita in the 1957 Broadway production of West Side Story, with further roles in Bye Bye Birdie and Chicago, to name a few. Congratulations to all, except the Rum Tum Tugger and Grizabella, who are jerks.